Last week tuju was named into cabinet on need basis, a term which is relatively new for Kenyans. 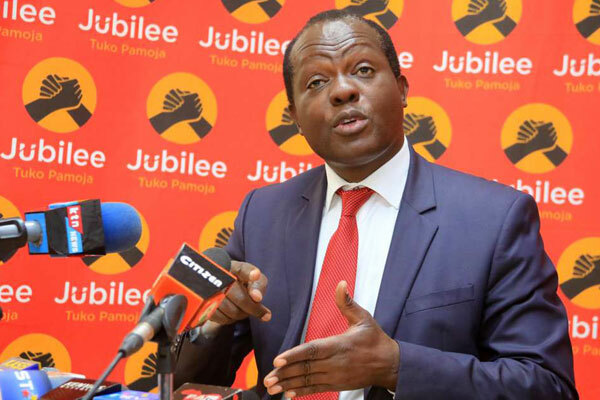 Tuju deserved the nomination considering the hard work he put to ensure jubilee remain victorious in previous elections. Jubilee digital strategist Dennis itumbi has explained rapahel tuju role. He said Raphael tuju will not be a cabinet Secretary but will continue being jubilee Secretary general, he only sit in cabinet so that he ensures jubilee agenda is delivered but he will not act as minister. Itumbi, who was having a conversation with NTV manager Linus Kaikai, said the media should stop publishing misleading reports on Tuju. "Co-opting into Cabinet 'on a need basis' can surely not make you a CS. It is a tool aimed at informing or enriching Cabinet decisions," he was quoted by the star. He will be invoked in ensuring jubilee ideas are implemented and the big 4 agenda is delivered.